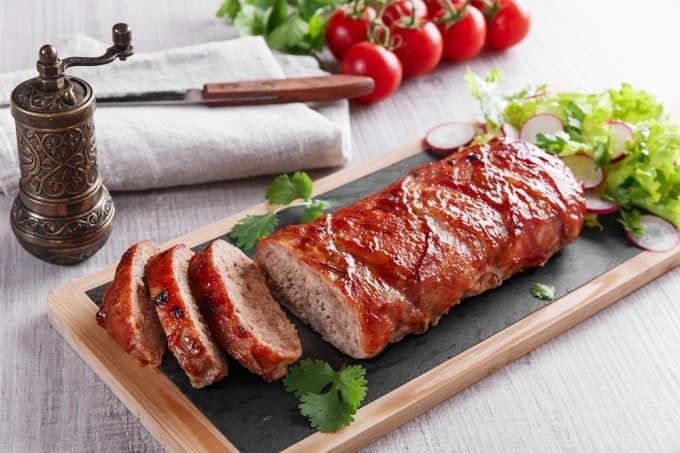 Do you want a new twist to the classic meatloaf? Learn a mouthwatering new version of the American favorite in this post. Meatloaf is a classic American dish. I grew up loving it. I remember my grandmother serving it every time we visit her during the weekends. However, I know that there are people who have had enough of it that they just want to say no to meatloaf every time they think of cooking a quick meal. Maybe it’s time to give meatloaf a different look? 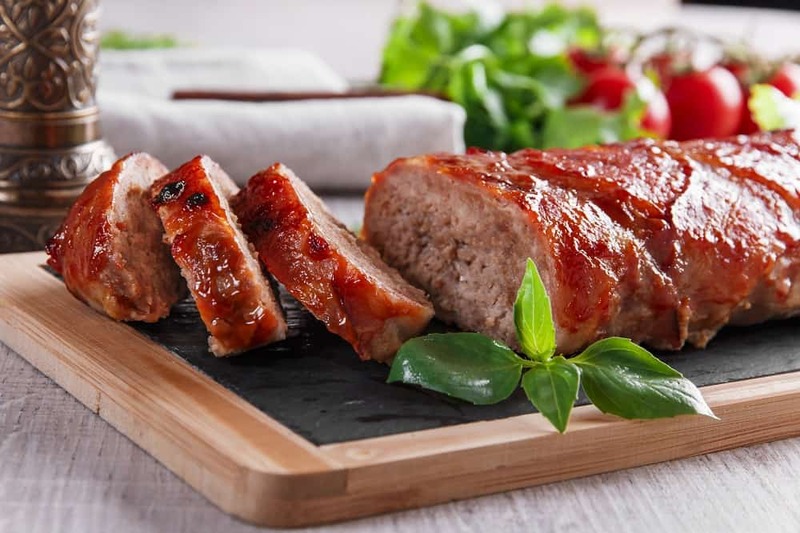 Continue reading as I will discuss interesting things about this classic dish and how you can give a different spin to it with my baked bacon wrapped meatloaf recipe. Meatloaf is made from ground meat like beef, pork, and lamb. It is mixed with other ingredients like onions and eggs before being formed into a loaf. It is then baked or smoked. There are different versions of meatloaf around the world. For example, the Argentinians use ingredients like cheese, ham, carrots and other vegetables in preparing meatloaf. Hardboiled eggs are a fixture in meatloaf in countries such as Poland, Italy, and Greece. In the United States, meatloaf is considered as a comfort food. It was also a dish that was frequently served during the Great Depression of the 20th century, as families stretched their food budget by using leftover meat and other ingredients to make meatloaf. 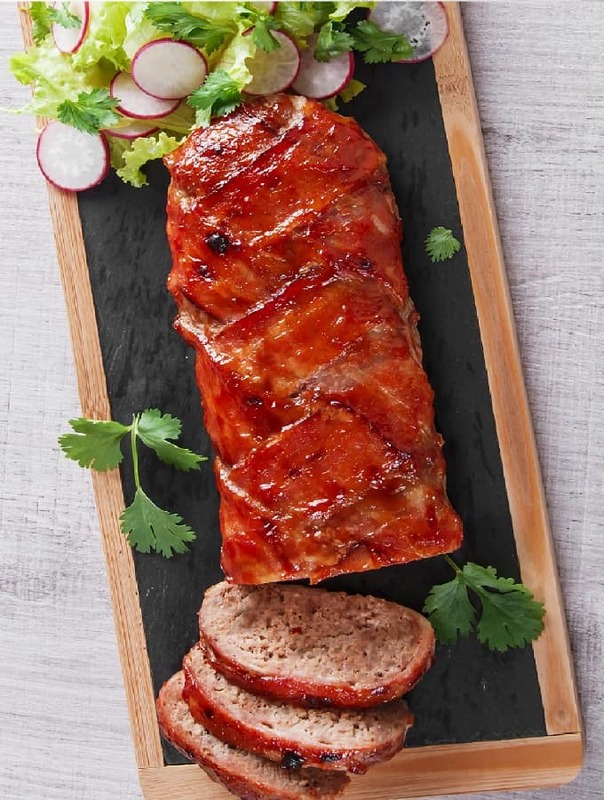 While many people think that meatloaf was invented only during the 20th century, the truth is that the origins of this delicious food go all the way back to the 5th century A.D. Meatloaf was mentioned in a Roman cookery collection titled Apicius. It is also said that the Romans back then enjoyed this dish with bread and pine nuts. The popularity of meatloaf grew even after the Great Depression. During the Second World War, vegetarian versions of the dish were circulated due to the low availability of meat at that time. It cannot be denied that meatloaf has adapted to the changing times. Today, you can find meatloaf even in the fanciest of restaurants albeit added with exotic ingredients. Most experts recommend ground chuck because one, it is the most flavorful and two, it is cheap. Keep in mind that a higher grade of ground meat means less fat resulting in shrinkage. Of course, less fat also translates to lesser flavor. Topping meatloaf with bacon can add moisture, enhance the flavor and improve the tenderness of the dish. You’ll understand this later on when you get to the baked bacon wrapped meatloaf. If you want a firm texture, use ground meat which has been run through the grinder at least three times. And don’t add too much bread crumbs as it can cause the loaf to be spongy. Adding eggs isn’t just to enhance the flavor of the dish. It also adds richness and aids in binding the loaf. Now let’s go to the baked bacon wrapped meatloaf recipe. This should yield about 8 to 10 servings. It should take you around an hour and 40 minutes to finish everything. Don’t worry; this is a pretty easy recipe to follow. Preheat the oven to 400 degrees Fahrenheit. Place a rack in the upper third. Line aluminum foil on a baking sheet then set aside. In a medium sized pan placed over medium heat, add oil. When it simmers, add the garlic, thyme, and onion. Cook for 3 minutes or until the ingredients have softened. Set aside. Add the eggs, mustard, salt, Worcestershire sauce, pepper, and buttermilk in a large bowl. Whisk the ingredients until everything are evenly combined. Add the onion mixture along with the ground pork, cracker crumbs, parsley, and sausage. Mix well until all the ingredients are thoroughly combined. Dampen your hands and then put the meat on the baking sheet. Shape the meat into a loaf measuring 9 by 5 inches. Then arrange the bacon across the top. Bake the loaf until its internal temperature reaches 155 degrees Fahrenheit. Use an instant-read thermometer like this. It would take around 55 minutes for the meat to get cooked. Remove the meat from the oven, transfer to a cutting board and let it cool before you slice and serve it. As I mentioned earlier the bacon in this recipe will make the meatloaf more flavorful. I am certain you’ll get excited again about meatloaf when you try this recipe. Do you have any fond memories of meatloaf? And what do you think of this recipe? Let me hear it from you. Feel free to write in the comments section below.